Is your Sub-Zero refrigerator displaying an error code? Sub-Zero refrigerators have built in diagnostic systems. If your refrigerator finds, sees, or detects a fault or error in the system, it will show an error or fault code. 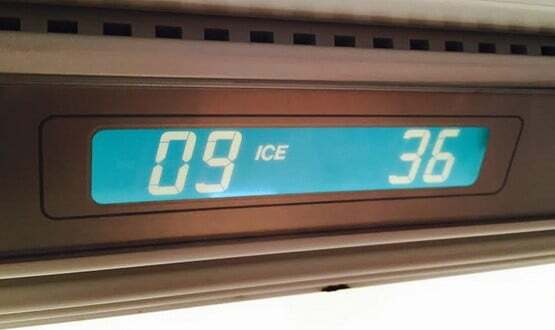 The error code will display either inside the refrigerator where the temp controls are or where the usual numbers are on the display screen. 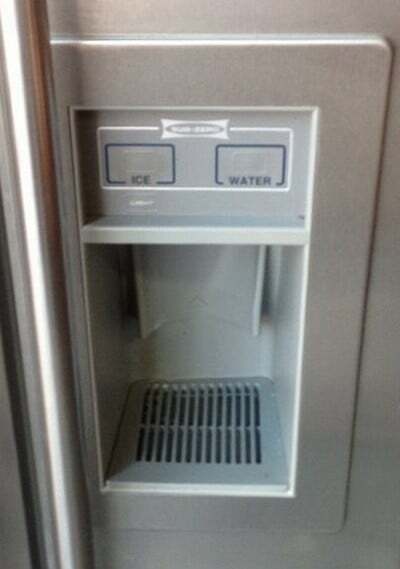 When an error code is displayed, your refrigerator is telling you a specific fault. If the error or fault is not fixable by you, it will require a repair technician. There are many different model numbers of Sub-Zero refrigerators with digital displays so if you see an error code write down what is flashing or displaying. Don’t pull the power from the fridge if it shows an error code. If you pull the power plug it will erase the fault code. here are Sub Zero Refrigerator Replacement Parts for less. 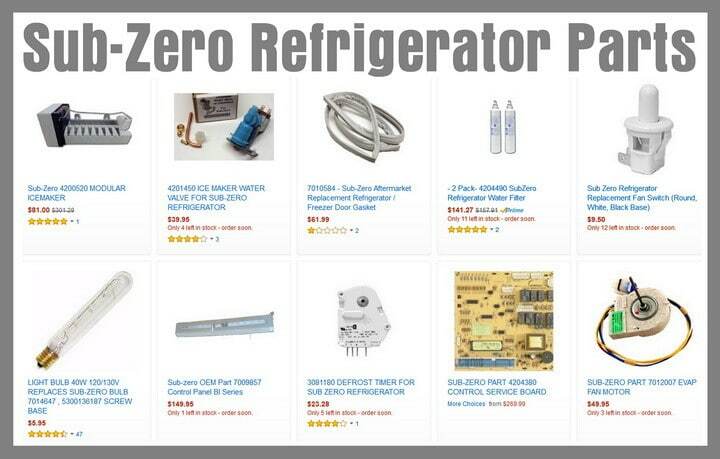 SearsPartsDirect also has thousands of fridge parts in stock. 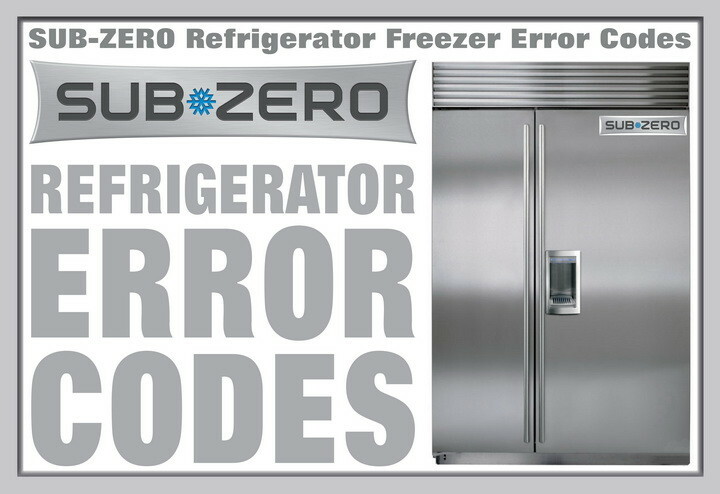 Do you know of any other Sub-Zero refrigerator error codes we have not mentioned or are you having trouble with your Sub Zero fridge? Please leave a question or comment below and we can assist. Subzero built in 642 flashing F 01 and the temp on ice says 14 but we are not able to adjust anything. Cleaned condenser and tried resetting. Turned off but doesn’t seem like it’s going off. Fridge is less than 10 yrs old. We just had a repairman out for Subzero 695 temp @ 38-39, EC50, He replaced the fan $518.00 fee and said he could not check anything else till it ran a few days, well now it is a holiday weekend and the temp has been running @ 49 today it is 46 and EC50 Service has started flashing again. I called the 800# and there was not much he could help me with because of the holiday weekend and he suggested that I call back on Tuesday. Today is Sunday. Is there anything else we can do? Subzero Refrigerator 650 service flashing along with 24 EC. -Press and hold the door ajar alarm key for 15 seconds to clear the error code. -If the error code or Service light appears or temperatures rise, unplug fridge for 1 minute to try and attempt a reset. -If temperatures are near normal – See Below for How to Clean the Condenser. Perform condenser cleaning every 6 to 12 months to keep SubZero refrigerator running as designed. -Clean the condenser more often if pets are present. -Do not bend the aluminum fins of the condenser. I have on a SUBZERO model 700BF. When i turn on i have “°c51” then “bf” then nothing appears, but the compressor is running and making fridge cold. Do you know what is the problem is? Sub-Zero Refrigerator Error Code EC 35 ice. Service (not flashing). What does this mean? I have a Sub-Zero 650/F3 that freezer section is completely covered in ice. The Service light is blinking with an error code of 20. I prefer to do the repairs myself if it isn’t to difficult of a fix. First, on your Sub-Zero, clean the condenser, once cleaned…. When your Sub-Zero gets an error code = Press and hold the door ajar alarm key for 15 seconds to clear the error code.